Timothy Warner, a PhD student who goes by the nickname "Moth," wakes up on his ninety-ninth day of sobriety with an intense craving for a drink. He immediately calls his uncle Ed, a former alcoholic and now successful psychiatrist who has become Moth's sponsor and father figure. Ed promises to meet him at an AA meeting later that day but never shows up. Knowing that his uncle is not the unreliable type, Moth bikes to his office and discovers a grisly scene--his uncle lying in a pool of blood, shot through the temple. Deeply shaken, Moth calls 911; the police pronounce the death a suicide. Two words are scrawled across Ed's prescription pad: "My fault." But Moth refuses to believe that his uncle would take his own life. Devastated and confused, he calls on the only person he thinks he can trust: Andrea Martine, an ex-girlfriend he has not spoken to in four years who is struggling through her own trauma. Each battling their inner demons, Moth and Andy travel into dark, unfamiliar territory, intent on finding out the truth about Ed's death and circling ever closer to a devious mind that will flinch at nothing to achieve his own deadly goal. 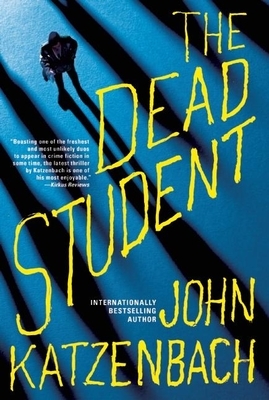 The Dead Student is a tense, penetrating novel from an unrivaled investigator of that most primal human motive--revenge. John Katzenbach has written fifteen novels, including the New York Times bestseller The Traveler, What Comes Next, and Red 1-2-3. Katzenbach was a criminal court reporter for the Miami Herald and Miami News. He lives in western Massachusetts.